The chemical industry is a key sector for sustainable development. As an innovation driver for business and society, our industry plays its part in helping a growing world population achieve a better quality of life. Vynova has embraced sustainability, understanding it as an obligation towards people and society and as a strategy in which economic success is coupled with social equity and environmental responsibility. This principle of balancing ‘people, planet and profit’ forms the basis of our sustainability understanding. Our products contribute towards a sustainable future, both directly and as the basis for innovations by our customers. Our conduct is rooted in the fundamental principles of protecting people and the environment. We strive for good and fair working conditions for our employees and for the service providers on our sites. This commitment is further demonstrated by our participation in the Responsible Care® initiative and in social partnership activities. Since the establishment of our company, we have pursued our social, financial and environmental obligations towards all of our stakeholders and society as a whole on the basis of our Corporate Social Responsibility (CSR) principles. We are committed to complying with high ethical standards in all our activities, while embracing the cultural diversity of the communities in which we operate. As a European industry leader, we create value with best-in-class production plants and distribution networks for PVC, caustic soda, KOH and other potassium derivatives. This starts with acting as a trustworthy employer. High standards, both internally and in our dealings with external suppliers and customers, keep us focused and accountable. We do not take our social responsibilities lightly in an industry where corporate profit should never override the impact our activities have on the community. We refuse to engage in or support the use of forced labour or child labour. We support a healthy and safe work environment, including every employee’s right to collective bargaining through their choice of trade union representation. We are proud to offer our employees the salaries that are commensurate with industry and legal wage standards. We comply with customary working hours. We uphold a non-discriminatory, equal opportunity work environment that is free from mental or physical coercion, verbal abuse, or corporal punishment. During all phases of our manufacturing processes, we operate in compliance with safe environmental practices. We strive to limit our operating emissions and conduct corporate-wide risk assessments and accident prevention strategies. To reduce our impact on the environment, we apply state-of-the-art energy-saving technologies. We secure all our raw materials, intermediates and finished goods in line with best practises for handling, storage and transport. Vynova complies with all antitrust guidelines and competition laws. We believe that free competition and free trade of goods and services benefit industries and consumers alike. Vynova does not make use of conflict minerals. We oppose any affiliation with corruption and abstain from partnerships which may fund illegally armed conflict or illicit trading. Vynova is committed to operating responsibly and establishing high ethical standards across our company. The U.K. Modern Slavery Act of 2015 requires companies carrying on business in the U.K. to publish a statement describing steps taken to ensure modern forms of slavery and human trafficking are not taking place in the company’s business operations and supply chains. Please consult Vynova's Modern Slavery Act Transparency Statement for more information. You will also find an overview of our social accountability commitments in the following statement. 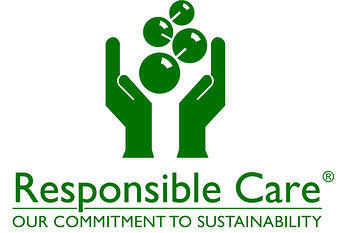 Responsible Care® is a voluntary commitment by the global chemical industry to drive continuous improvement and achieve excellence in Security and Safety, Health and Environmental (SHE) performance. We respect the general public’s need for transparency in connection with products, processes and activities, on the basis of a constructive approach. In accordance with our product responsibility, we provide information about the safe transport, storage, use, recycling and disposal of our products. This applies in particular to buyers, processing enterprises and users. We work continuously on extending our knowledge of products and production processes, in particular with respect to potential impacts on human health and the environment during all phases of the products’ life cycle. We operate safe production plants. Should any risks endangering human health or the environment become recognisable, we will take immediate action as required. In doing so, we cooperate closely with competent authorities and inform the public. We make available our knowledge and experience in the development of workable and effective laws, regulations and standards, with the aim of constantly ensuring the protection of human health and the environment. We maintain and encourage the dialogue with our stakeholders. We support the national Responsible Care® programs and provide sufficient resources to enable implementation in all parts of our company. We actively support the 17 Sustainable Development Goals (SDGs) of the United Nations. We therefore focus on and regularly evaluate the areas in which we can achieve the greatest impact. We are committed to continuously improving our activities in this respect and embrace suggestions from external stakeholders. To that end, we continuously update both our financial and non-financial goals, as well as our operational activities and strategic programs. In particular those SDGs that focus on climate protection, industry and infrastructure, sustainable cities and responsible production play a vital role for us. Our products help save resources, for example through durable water pipe systems, and reduce CO2 emissions, for example by insulating buildings more efficiently. We are an active member of VinylPlus®, the voluntary sustainable development programme of the European PVC industry and a strong promoter of the Sustainable Development Goals. VinylPlus® is the voluntary sustainable development programme of the European PVC industry. It aims at creating a long-term sustainability framework for the entire PVC value chain. The regional scope of the 10-year program is the EU-28 plus Norway and Switzerland. Vynova is a member of VinylPlus® and actively supports the programme. Controlled-loop management: together with industrial partners, VinylPlus® has established an ambitious and successful PVC recycling program. Organochlorine emissions: VinylPlus® helps to ensure that persistent organic compounds do not accumulate in nature and that other emissions are reduced. Sustainable use of additives: in 2015, the PVC industry completed the replacement of lead-based stabilizers for PVC applications in the EU-28. Sustainable use of energy and climate stability: VinylPlus® helps minimise climate impacts through reducing energy and raw material use. Sustainability awareness: an independent monitoring committee guarantees openness, transparency and accountability in VinylPlus® initiatives while providing advice, comments and suggestions. 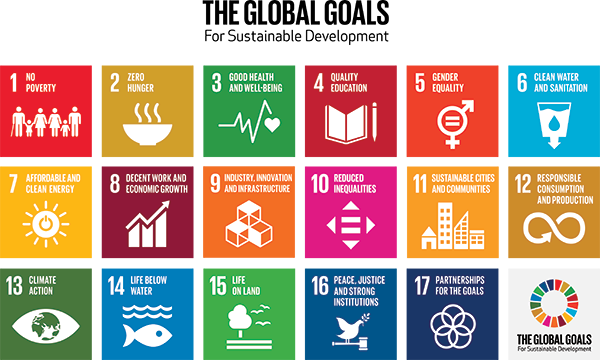 VinylPlus® closely aligns its activities with the UN Sustainable Development Goals. Vynova’s plants require a large amount of energy. We therefore do everything we can to optimize our operational efficiency and to minimize the environmental impact of our production processes. For this purpose, we have implemented Energy Management Systems according to the ISO 50001 standards on most of our sites. Expert teams ascertain the energy efficiency of the plants, determine the consumption status and improvement potentials, and create action plans. With the investment in a new state-of-the-art potassium hydroxide (KOH) membrane electrolysis facility in Tessenderlo (Belgium), we have taken a big step forward in improving our energy efficiency. The new plant replaced the former mercury electrolysis technology, resulting in a significantly lower energy demand. Further projects to improve our energy efficiency are ongoing. Limiting as much as possible emissions and consequences of accidents that may impact the environment. Giving high attention to developing and implementing energy-saving technologies. We continuously work to ensure that our products pose no risk to people and the environment when used responsibly and in the manner intended. With our commitment to Product Stewardship as part of the Responsible Care® initiative, we are dedicated to continuously minimizing the negative influences of our products on safety, health and environment along the value chain – from development to disposal. Our products comply with the key regulations applicable to the countries and markets in which we operate. REACH (Registration, Evaluation and Authorisation of Chemicals) is a European regulation that came into force on 1 June 2007. It aims to ensure a high level of protection of human health and the environment through a better understanding of product properties and by sharing that information down the supply chain. Vynova supports this goal without reservations. Under REACH, Vynova assumes the roles of a manufacturer and a downstream user. As a manufacturer of chemicals, we have registered the substances of our product portfolio as stipulated by REACH and have submitted the dossiers required for this to the European Chemicals Agency (ECHA). We cooperate closely with our customers and authorities in REACH matters and support them as far as possible. In addition, we have introduced a management system for dangerous goods, ensuring these are handled, stored and transported safely. Another important regulation is the Biocidal Products Regulation (BPR), which aims to improve the functioning of the biocidal products market in the EU while ensuring a high level of protection for humans and the environment. Vynova supports these goals without reservations. All biocidal products require an authorisation before they can be placed on the market, and the active substances contained in that biocidal product must be previously approved. Vynova has registered sodium hypochlorite (NaClO) as a biocidal active substance. As an active member of Euro Chlor and its sodium hypochlorite biocide registration group, we provide input to support our customers with their biocidal product authorisations. For more information on the options for biocidal product authorisations for customers, please consult this information leaflet. For more information on our products’ regulatory status or safety data sheets (SDSs), please reach out to your customer service representative. Like any other product, plastic pellets and powder do not belong as litter in the environment. Pellet and powder loss is a major concern for the plastics industry and losses must be prevented in a joint effort across the entire plastics value chain. Although a major reduction of pellet and powder losses has been achieved over the last decades, more needs to be done. Operation Clean Sweep® (OCS) was initiated to improve awareness, accelerate prevention and facilitate experience sharing on the topic. Each OCS signatory implements solutions that fit best their sites and processes and encourages value chain partners. Pellet and powder loss prevention as part of quality and environmental management programmes is a continuous journey ensuring that all potential leakage points are covered. Vynova has signed the OCS pledge to aim at zero pellet and powder loss and has implemented a variety of measures addressing pellet and powder loss at its sites, including regular audits and communication campaigns. More information about Operation Clean Sweep® is available on the programme’s website and in the programme's 2018 Report.